Mastering Banjo gives you all the tools to master the banjo. Learn advanced approaches to major and minor scales, continue with more rolls, and tackle new approaches to single-string and melodic style playing. You'll learn to improvise over many classic tunes, like "Nine Pound Hammer" and "Kitchen Girl," with pentatonic and blues scales. 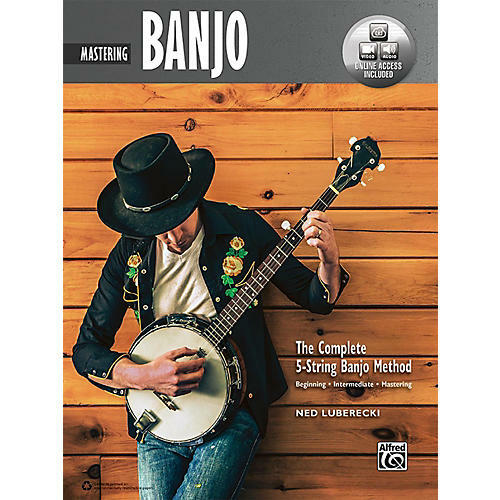 Any banjo player, no matter how advanced, will improve their playing with Mastering Banjo. Use the companion video---featuring author and video host Ned Luberecki's friendly, encouraging style---to make learning more easy and fun.